The first thing that stands out with Moncada is his size. He does not have the build of a typical 20-year-old, with athletic, physically mature frame that is close to maxed out already. 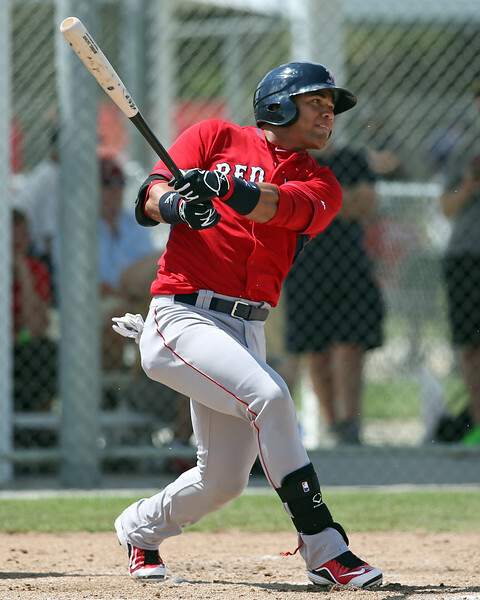 Listed at 6-foot-2, 205 pounds, Moncada looks more like an NFL running back than a baseball player, with a very muscular upper body and strong lower half. At the plate, Moncada only went 3 for 12, with a walk, hit-by-pitch, and four strikeouts, but both in batting practice and in game action, he looked more comfortable at the plate than in the spring, especially batting right-handed. Moncada has the same pre-pitch setup from both sides of the plate. He starts with an open stance, with his hands high and closes down on approach. He has a solid weight-transfer and utilizes a toe-tap timing device. He has very quick hands and strong wrists, and utilizes a two-handed finish. In spring, we noted that he did not look as comfortable and his swing was not as fluid from the right-side, but now he looks a lot more comfortable and confident from that side of the plate. From the left-side, his swing is a little longer, but he keeps the bat in the zone longer, whereas from the right side, he is shorter and more direct to the ball. Moncada has the potential to be a plus hitter in his peak, but in order to reach that ceiling he needs to refine his approach. He is very pull happy, constantly trying to get the barrel out in front early. This also leaves him very susceptible against secondary pitches, and he too often does not recognize the pitch and gets caught out in front on his front side. In batting practice, Moncada showed pull power from both sides plate, but in games he did not solidly drive any pitch during this look. When he got ahold of the ball in batting practice, he was able to drive it with backspin, including deep over the fence a handful of times. It might take a some time to develop, but based on his strength, bat speed, and swing path its not a stretch to project Moncada to eventually develop plus power. In the field, Moncada still looked raw, making an error in each of the three games he played and also making a few misplays that could have been ruled errors. Overall on the season, Moncada has made 19 errors so this was not a one-series blip. Physically, he does not look like a second baseman. Though he does have the raw tools to play there, it has not translated to the field in the times I’ve seen him. It is worth noting, though, that other sources who have seen him during the season have said he has looked solid there. Moncada has soft hands, plenty of range, and a plus arm that is more than enough for second base, but he seems to forget the fundamentals and lose focus there. His misplays during the series included: not staying down on the ball, trying to backhand a ball rather than surround it to get in front of it, attempting to make an off-balance throw rather than setting his feet, and issues on the transfer. 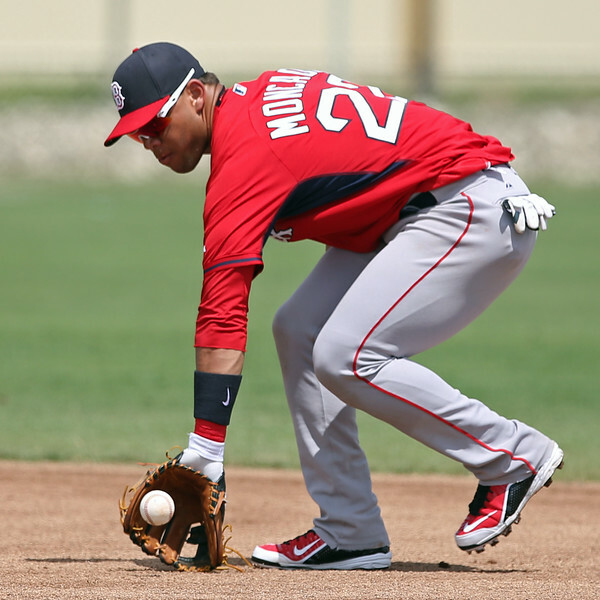 On more difficult plays, Moncada showed plenty of effort and a willingness to dive when the occasion called for it, so even though he did not always make the play, the effort was there. He needs to clean up the easier, more routine plays. Those lapses in fundamentals are easily fixable and could be seen as teachable moments, but if he does not tighten things up at second, it’s hard to project him to stay at the position long-term. Though Moncada did not come out of the gate strong, he has shown steady improvement as he becomes accustomed to day-in-day-out routine of minor league baseball and more comfortable facing live pitching in games again. While he has not shown big power and has been somewhat inconsistent in the field, he’s still flashed five-tool potential and the ability to impact all facets of the game. Moncada might get a taste of Salem to end the season, but he’s still only 20 years old and ahead of the developmental curve. Regardless of the results on the field, Moncada’s upside is still huge, rightfully placing him among the top prospects in baseball.